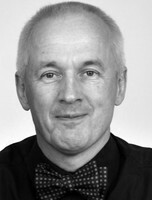 Oliver Kirchkamp is Professor for Empirical and Experimental Economics at University of Jena, fellow of the CESifo Research Network and associate editor of the Journal of Behavioral and Experimental Economics. He studied economics at Bonn University and finished his studies in 1990 with a thesis on optimal taxation. His Ph.D. on “Evolution and Learning in Spatial Models” was done within the European Doctoral Program in Quantitative Economics at Bonn and the EHESS and DELTA (now PSE) in Paris. In 1996 he went as a Jean Monnet Fellow to the IUE in Florence where he became involved in experimental and behavioural economics. In 1997 he became head of the experimental laboratory at the SFB 504 in Mannheim. He obtained his habilitation in economics in 2001 and, from 2002-2005, substituted a chair for Microeconomic Theory and later one for Macroeconomics and Economic Policy at University of Mannheim. Before he moved to Jena he held a chair for Microeconomics at University of St. Andrews in Scotland. Oliver Kirchkamp is interested in empirical methods, experiments, markets, and auctions. Oliver Kirchkamp (2018), “Does a Bounds Approach Help with Selection in Litigation Data? : Comment”, Journal of Institutional and Theoretical Economics (JITE), Vol. 174(1), pp. 131-136. Oliver Kirchkamp, J. Philipp Reiß (2011), “Out-of equilibrium bids in auctions—Wrong expectations or wrong bids”, Economic Journal, Vol. 121/557, pp. 1361-1397. Michele Bernasconi, Oliver Kirchkamp, Paolo Paruolo (2009), “Do fiscal variables affect fiscal expectations? Experiments with real world and lab data”, Journal of Economic Behavior and Organisation, Vol. 70(1-2), pp. 253-265. Oliver Kirchkamp (2006), Review of “Economic Theory and Cognitive Science: Microexplanation”, by Don Ross, Journal of Economics, Vol. 89(1), pp. 85-90. Oliver Kirchkamp, Rosemarie Nagel (2001), “Repeated game strategies in local and group prisoners' dilemmas experiments: first results”, Homo Ökonomicus, XVIII(2), pp. 319-336. Oliver Kirchkamp (2000), Review of “Individual Strategy and Social Structure: An Evolutionary Theory of Institutions”, by H. Peyton Young, The Journal of Artificial Societies and Social Simulation, Volume 3, Issue 4. Oliver Kirchkamp, Rosemarie Nagel (2012), “Naive learning in networks”, Encyclopedia of the Sciences of Learning, ed. Norbert M. Seel, part 14, pp. 2415-2418. Oliver Kirchkamp (2009), “Do People Update Beliefs? A Critical Review and Some New Evidence”, Koreferat zum Beitrag von Anja Achtziger und Carlos Alós-Ferrer, in Wolfgang Franz, Werner Güth, Hans Jürgen Ramser, Manfred Stadler, Experimentelle Wirtschaftsforschung, Wirtschaftswissenschaftliches Seminar Ottobeuren (38), Mohr Siebeck, Tübingen, pp. 119-124. Oliver Kirchkamp, Benny Moldovanu (2008), “An experimental analysis of auctions with interdependent valuation”, in Abdolkarim Sadrieh and Joachim Weimann, Experimental Economics an Germany, Austria, and Switzerland. A collection of papers in honor of Reinhard Tietz, metropolis, Marburg, pp. 499-524. Oliver Kirchkamp, J. Philipp Reiß, Abdolkarim Sadrieh (2008), “A pure variation of risk in first-price auctions”, under revision at International Economic Review. Oliver Kirchkamp, Wladislaw Mill (2018), “Conditional cooperation and the effect of punishment”, submitted to Games and Economic Behavior.